Since their founding in 1967, Maxxis has become known for their commitment to excellent products and customer service. One of the world’s most trusted tire brands, Maxxis delivers high-quality tire products to customers in 180 countries, and employs more than 25,000 people. With dedicated commitment to their values, Maxxis strives to constantly exceed their customer's expectations. For winning races or enjoying a safe daily commute, Maxxis is the tire company riders and drivers trust. The commitment to offer the best products has led Maxxis to create new technologies to develop their tires. Maxxis products are tested both at its own facilities and at the world™s leading tire test centers. Input from their roster of championship-winning riders also ensures that their products measure up to the toughest real-world standards. Every Maxxis tire is manufactured using the most advanced equipment and by personnel who display a dedication to quality at every level, from management tothe factory floor. The Escapade CUV is an all-season premium high-performance touring tire that is designed for modern crossovers. With Adaptive Response Sidewall technology, these tires deliver a smooth ride when cruising, and excellent handling during spirited driving. Straight and slanted circumferential grooves increase waterdispersion efficiency for excellent hydroplaning resistance andwet-weather performance. Large, outer shoulder block design increases overall lateralstiffness for improved cornering and handling. 2-in-1 groove design on inner shoulder increases wet-weather traction while improving overall wear pattern. Multi-pitch tread-block technology minimizes pattern noise for a quiet and comfortable ride. The AT-771 was engineered to provide the confidence to tackle your favorite local trail or your everyday urban work route. The unique tread pattern and sidewall lug design offers excellent all-terrain traction while reducing pattern noise with multi-pitch noisereduction technology. Tread pattern and sidewall lug design offers excellentall-terrain traction. Compound and pattern design improve tread wear, wet traction and hydroplaning resistance. 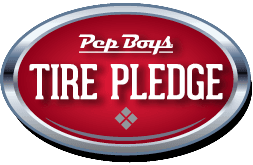 Pep Boys is your ultimate one-stop solution for everything from appointments for vehicle maintenance that you can confidently and conveniently schedule online, to our wide selection of top brand tires such as Maxxis, and best-in-class auto parts and accessories. Trust Pep Boys to provide outstanding car service to you, our customers, with our state-of-the-art technology designed to diagnose and repair the critical systems that keep your vehicle running efficiently and our professional ASE-certified technicians. With approximately 1,000 locations in 35 states and Puerto Rico, our locations are well-equipped to handle any repair, maintenance effort or upgrade. From tire installations to carrying a wide range of DIY parts and accessories, we have all of the tools you need to tackle your automotive projects.